Angry Birds Star Wars - join an epic adventure with the Angry Birds in the legendary Star Wars™ universe! Join an epic adventure with the Angry Birds in the legendary Star Wars™ universe! Use the Force, wield your lightsaber, and blast away Pigtroopers on an intergalactic journey from the deserts of Tatooine to the depths of the Pig Star - where you'll face off against the terrifying Darth Vader, Dark Lord of the Pigs! Can you become a Jedi Master and restore freedom to the galaxy? Download Angry Birds Star War Demo game today and play now! 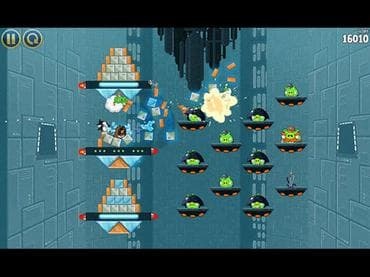 Если у Вас есть вопросы, связанные с игрой Angry Birds Star Wars пожалуйста используйте эту форму для связи с нами.